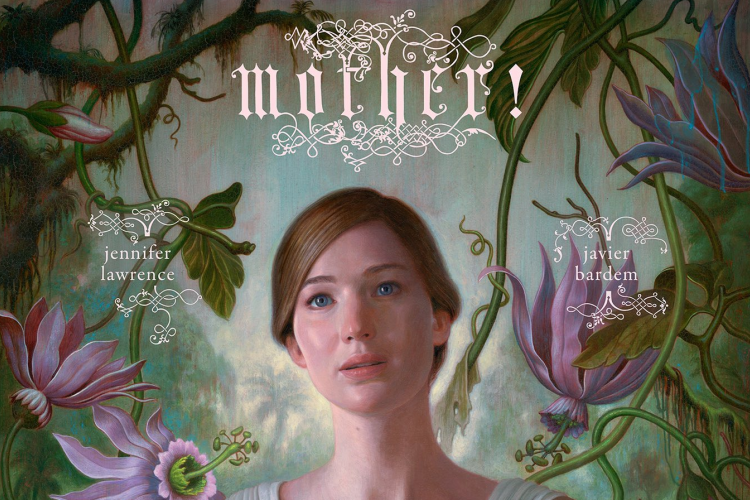 Director Darren Aronofsky dropped the first poster for his upcoming movie Mother, and it isn't for the faint of heart. Jennifer Lawrence and Javier Bardem star as "a couple whose relationship is tested when invited guests arrive at their home, disrupting their tranquil existence". The film also stars Domnhall Gleeson, Michelle Pfeiffer, and Ed Harris. Aronofsky is not one to skimp out on symbolism or metaphors. With psychological horrors like Pi, Requiem for Dream and Black Swan under his belt, this is the exact kind of gorgeous disturbance we can expect. 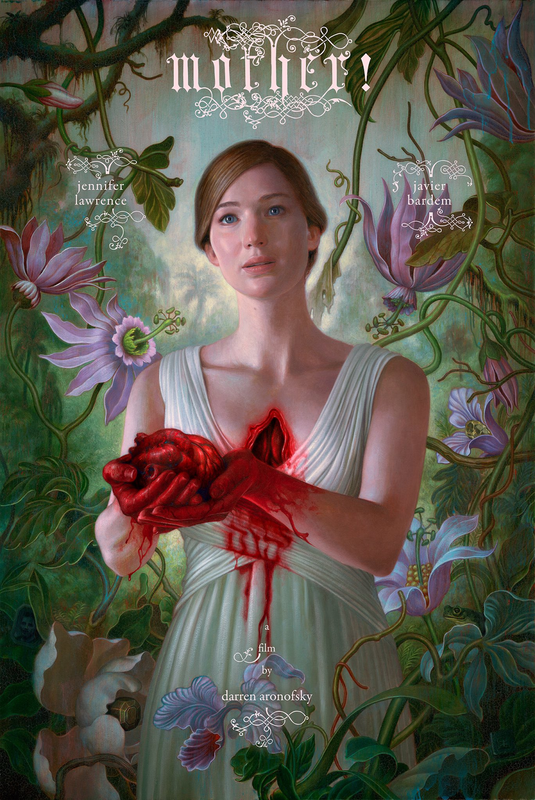 Jennifer Lawrence's character offers a vacantly hopeful expression while ripping her heart out. Subtle details in the background offer a few twists such as a doorknob, a ghostly image of a man, an odd square shape in the bottom corner, a mound of gold placed on a flower's pistil, and a frog looking onwards. She is centered in a jungle (perhaps the house where the couple's tranquil existence is disturbed), which includes a salivating man-eating plant. In Interview Magazine, a cover story with Michelle Pfeiffer by Aronofsky hinted that the script is esoteric. If we expected anything less, it'd be a major surprise. Besides the poster and summary, not much is known about Mother. It comes late on the heels of Aronofsky's last film Noah, an ambitious Biblical retelling which left most critics lukewarm. Those close to the upcoming project have said the director makes a solid return to cerebral horror similar to Black Swan, which garnered Natalie Portman her first Academy Award win for Best Actress. The promising thriller is set for an October release just in time for award consideration. What do you guys think of the new poster? Creepy or gorgeous?